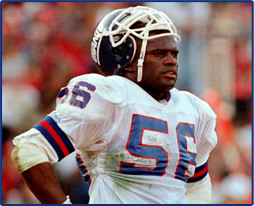 Lawrence and his Big Blue Wrecking Crew went on to crush the Denver Broncos, 39-20 in Super Bowl XXI, then beat the Buffalo Bills in Super Bowl XXV, 20-19. 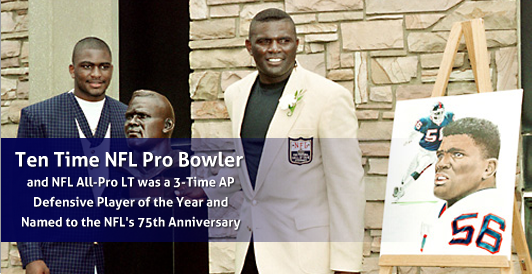 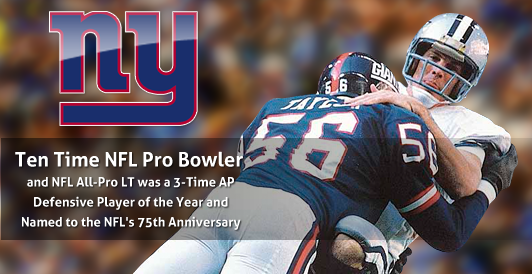 Known as “LT”, Lawrence Taylor was born February 4, 1959 and is a Hall of Fame football player. 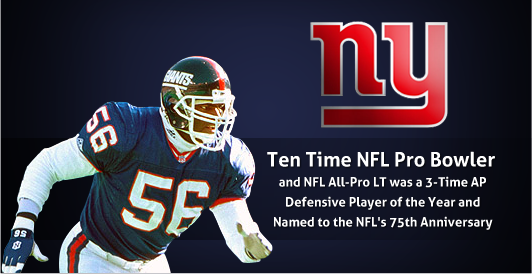 Taylor played his entire professional career as a linebacker for the New York Giants in the National Football League (NFL). 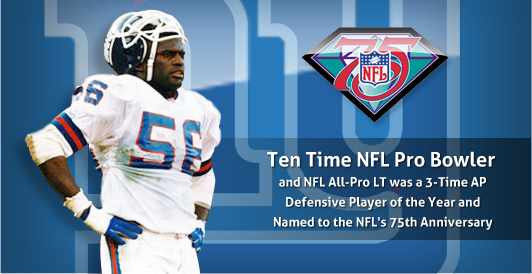 He is considered to be one of the greatest players in the history of football, and has been ranked as the top defensive player in league history by former players, coaches, media members, and news outlets such as the NFL Network, and Sporting News. 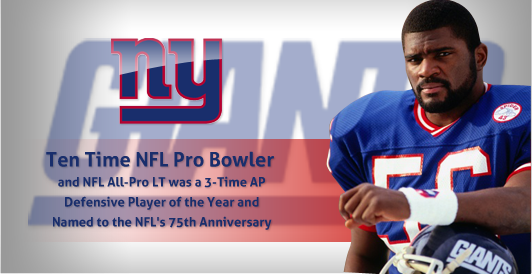 A legend on the field in New York for years , now LT is available for corporate appearances, speaking engagements, VIP Meet & Greets, autograph signings, football camps, celebrity golf tournaments and product endorsements. 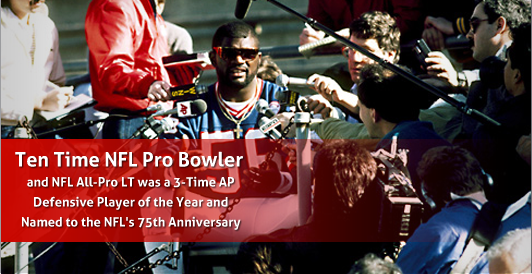 Hire LT to meet and mingle with your best customers, clients and employees. 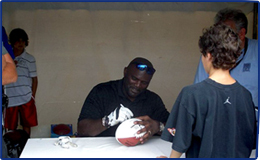 Contact us at 1.888.246.7141 for appearance booking or fill on the form online. 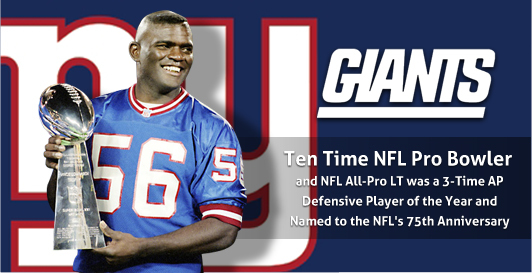 A smash-mouth memoir by one of the game's greatest players, an unsparing look at the giant of all Giants whose struggle with a cocaine habit was the only thing in his life he couldn't tackle with ease.